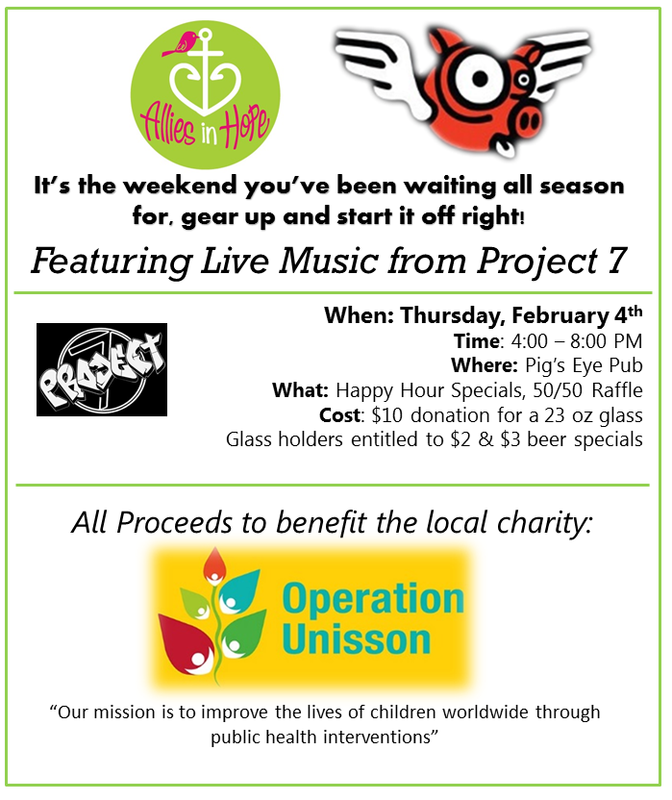 Allies in Hope is hosting an event for Operation Unisson. Join us for live music, food, and drink specials at Pig’s Eye Pub from 4-8! We hope to see you soon! !